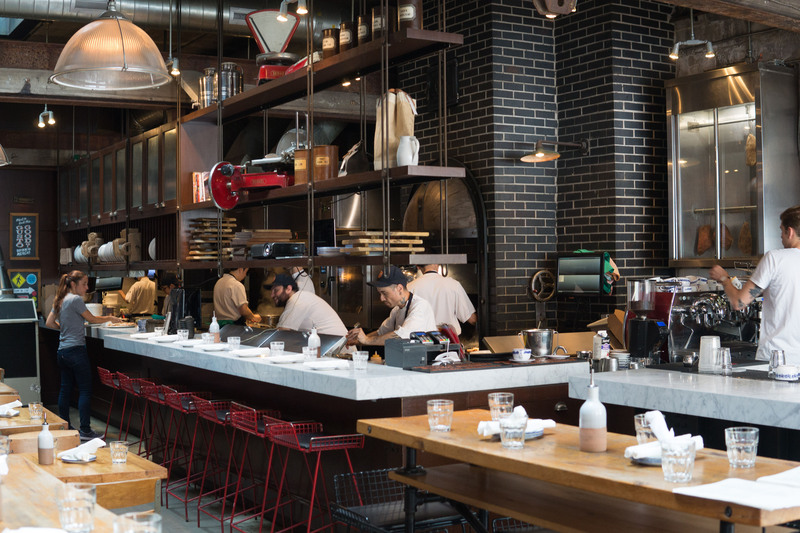 Gusto 101 is a modern take on Southern Italian cuisine. Restaurateur Janet Zuccarini, owner and founder of Gusto 54 restaurant and catering group, opened Gusto 101’s doors in 2012. Gusto 54 also owns names such as Chubby’s Jamaican Kitchen, Pai, and Trattoria Nervosa. Gusto in the Italian language translates to tasty, and Gusto 101 lives up to its name. 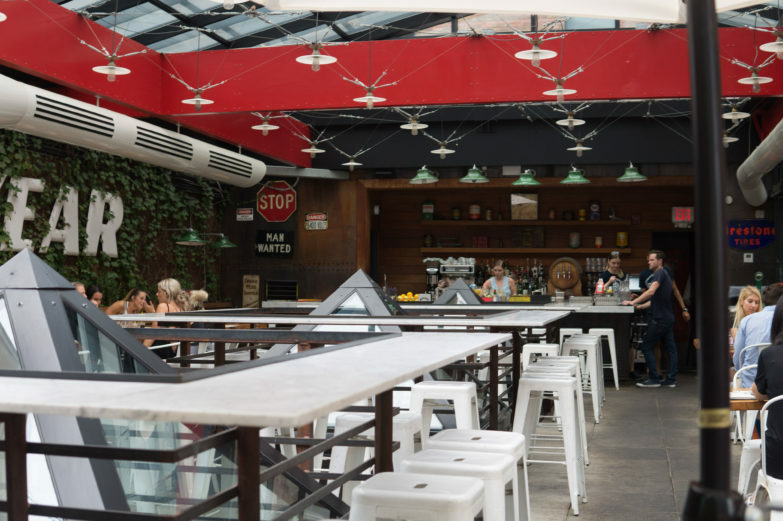 The spot consistently finds its way to top 10 lists on sites such as BlogTO, Narcity, and Toronto Life. The location is an old, repurposed garage in Downtown Toronto on the intersection of Portland and Adelaide. 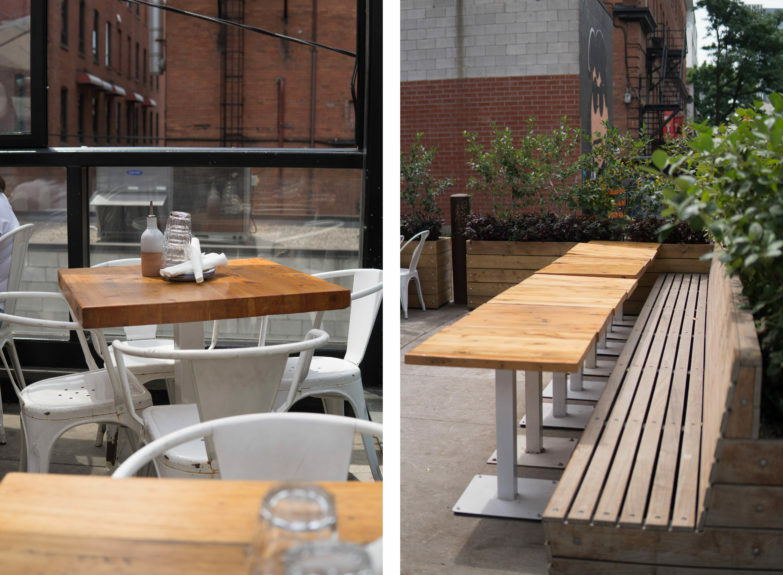 For the past six years, this building has served some of the best plates of pasta, pizzas, and other Italian favourites in Toronto and continues to do so. 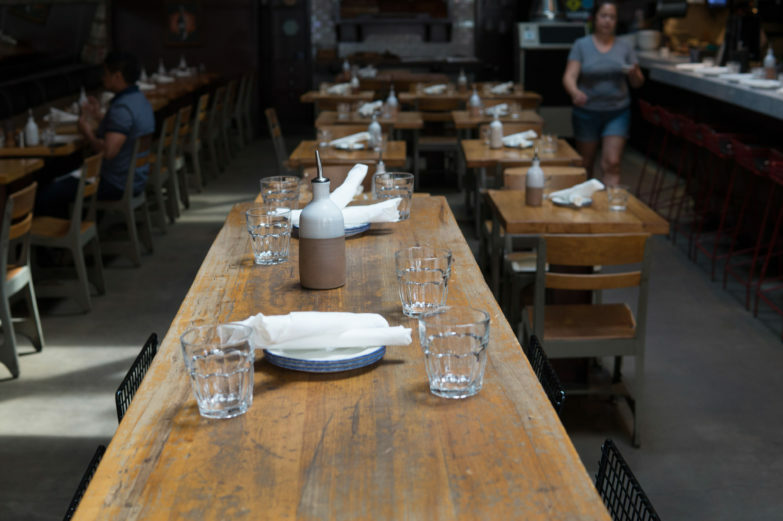 Gusto 101 is a highly prominent name in the Toronto restaurant scene. I was always under the impression that it was another pretentious, high-end dining Italian spot, but I was wrong. 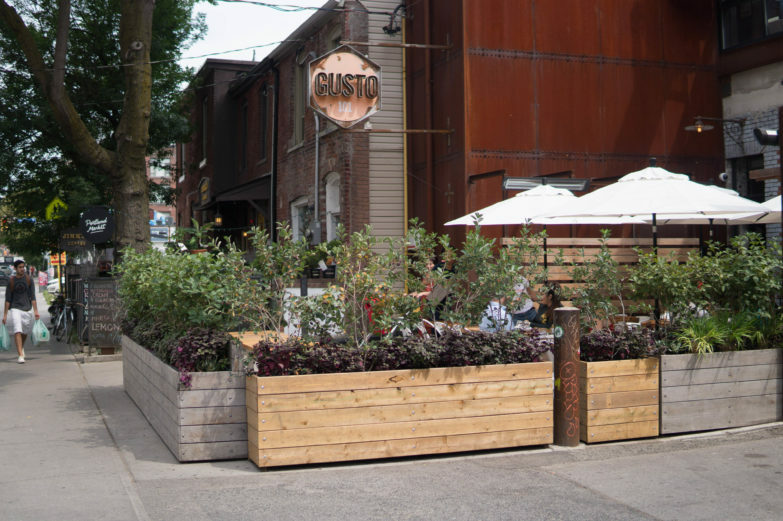 Gusto 101 is a lot more casual than I expected: the staff wear Gusto 101 t-shirts and denim shorts, the restaurant itself is very open and well lit, and the two gorgeous patios allow patrons to take off the suits and ties to just relax. As I mentioned, there are two patios: one in the front and one upstairs. There’s also the main dining area on the bottom floor. The place has plenty of capacity for diners. The main floor patio has a handful of tables, and each table has a massive parasol to protect people from the sun as they eat. It faces Portland Street, which is relatively quaint in comparison to the rest of Toronto. Once you walk in, you’ll see the main seating area. I went during the daytime when the sun was out, so much of the lighting was via pyramid-shaped skylights. This natural light gave the area a beautiful vibe and atmosphere. And this part of the restaurant is also where the open kitchen is as well as one of the two bars (the other is at the upstairs patio). You can see chefs bustling away at open flames and bartenders chatting away with guests. The rooftop patio—where I chose to sit—was my favourite part. This patio was essentially a cube of glass, making it usable in the winter time, where panels are taken out to create the patio environment. The glass ceilings also funnel natural light into the main floor’s interior dining area through the pyramid-shaped skylights. The pyramids are a unique decorative feature and provide a cool seating area for patrons. 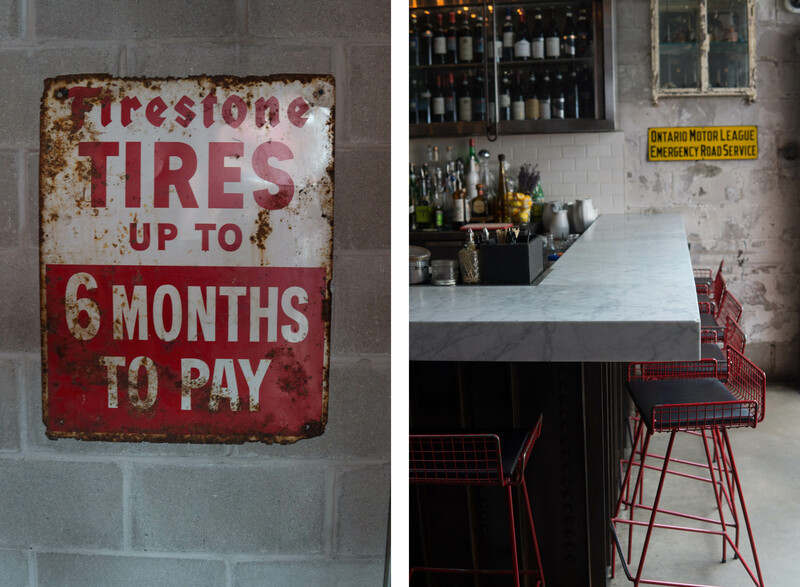 A favourite detail was the vintage signs around the restaurant that casual it up and really add to the atmosphere. I came to Gusto 101 on a Saturday afternoon and ordered from the brunch menu. According to the waitress, the regular Gusto menu isn’t available on the weekend afternoons, but their brunch items looked just as good. It’s primarily broken out into six sections: Brunch, which is comprised of egg favourites like Eggs Benedict, omelettes, and the Gusto "Brunch" Hamburger; Bruschetta, which had four different toast dishes; Bowl, consisting of two yogurt-based breakfast bowls; Brunch Dolce, for sweet breakfast options; Pizze, which is pizza; and Dolci, for desserts such as tiramisu or cannoli. There’s a good mix between the savoury and sweet options. 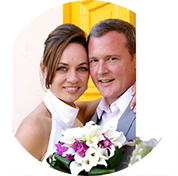 There’s also a mix of tradition brunch and Gusto’s well known Italian-style. Even though the menu was catered towards earlier times in the day, the alcohol selection was enormous and a lot of the patrons had cocktails and wine glasses laid out at 11:30 AM. Pricewise, the brunch menu matches the atmosphere: casual. 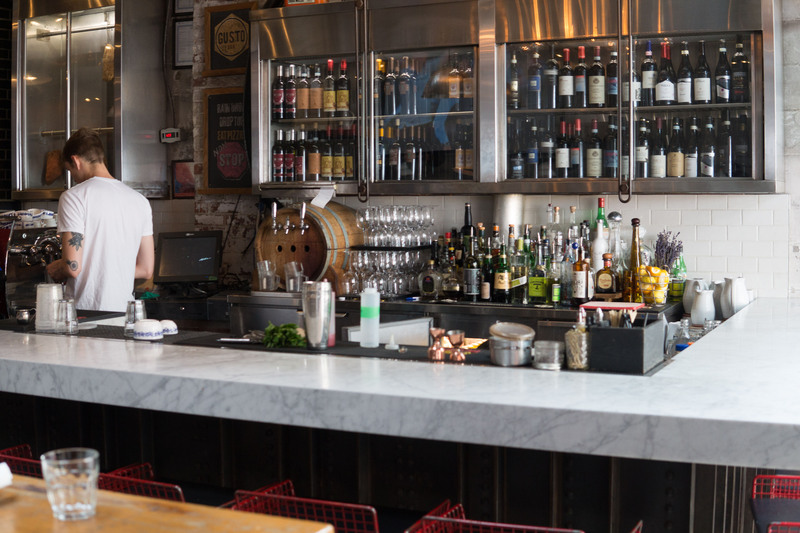 You’re not dishing out fine-dining Italian restaurant money; everything was under $20. For such a renown restaurant, I thought that the prices were fantastic. I came prepared for lunch and not brunch, so I didn’t look too in-depth into the brunch section. I love bruschetta, however, so that’s where I first set my sights. The mushroom toast looked like an amazing appetizer, so I opted to start with that. Afterward, I added a Prosciutto e Rucola pizza and finished with a strawberry panna cotta. 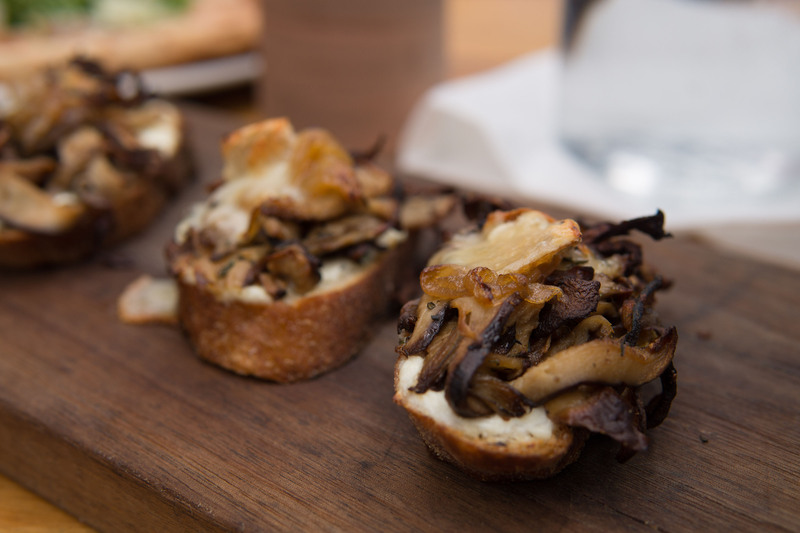 The mushroom bruschetta. It’s quite a simple dish—wild mushrooms on a grilled sourdough bread with herbed ricotta, taleggio, and olive oil—but Gusto makes it fantastic. The caramelization on the mushrooms provided a hint of sweetness to contrast the olive oil fat and the ricotta’s savouriness. The sourdough bread was toasted to perfection: crisp and light. I never knew that bread could be toasted so well! At first, I thought $12.99 for three pieces of bread and mushrooms was quite a bit, but the quality of the ingredients makes the dish worth its price tag. The bruschetta section of the menu also has an option to add an egg for $1.99, and this is definitely going on my to-do list for my next Gusto brunch visit. The Prosciutto e Rucola was the next item, and I didn’t love it as much as I did the mushroom bruschetta. The pizza consisted of tomatoes, mozzarella, prosciutto, arugula, and Parmigiano. While I’m a big fan of mozzarella, I absolutely hate goat cheese and the Parmigiano had a similar flavour to goat cheese. Therefore, if you like goat cheese, this may be the pizza for you. Aside from that, I found the prosciutto a bit too salty. In contrast to my complaints, the crust of the pizza was delicious. Again, it was crisp, light and full of flavour—similar to the sourdough bread from the bruschetta. 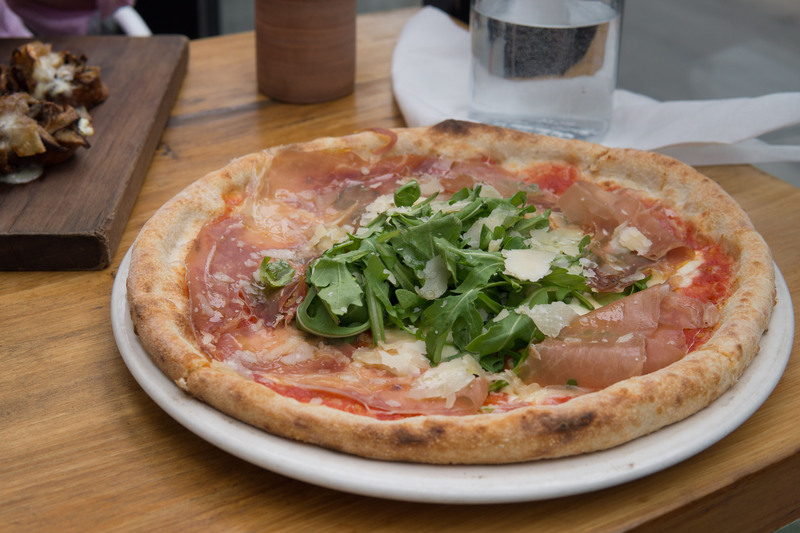 And while hard to tame, the arugula was a refreshing delight to the harsh cheese and prosciutto flavours—it was almost like a border that protects any ingredient from being too powerful and overtaking the dish. Overall, I was quite happy with the pizza. I had a sweet tooth, as usual, and ordered a strawberry panna cotta for dessert. This item must be new because it had a more complicated name that I couldn’t recall; yet when I went online to find it, it wasn’t on the Gusto website. 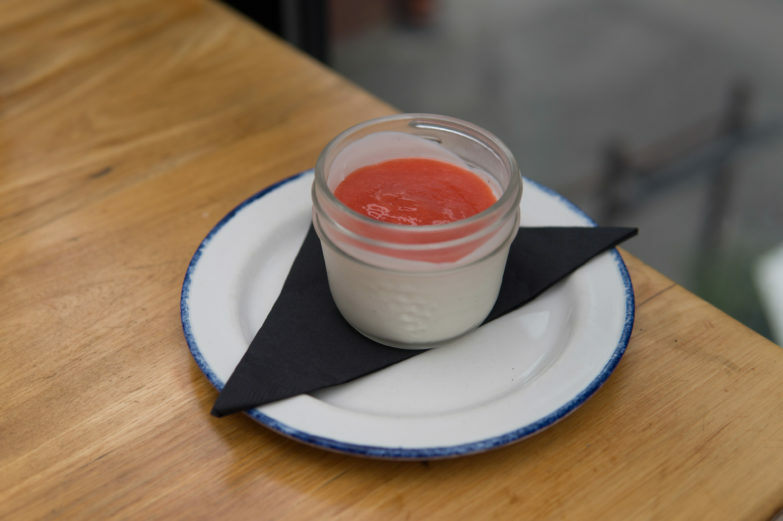 When the waiter arrived with the panna cotta, he also mentioned that it was gluten-free, which was a nice surprise. Though I don’t suffer from celiac, this is something I would recommend to someone who does. 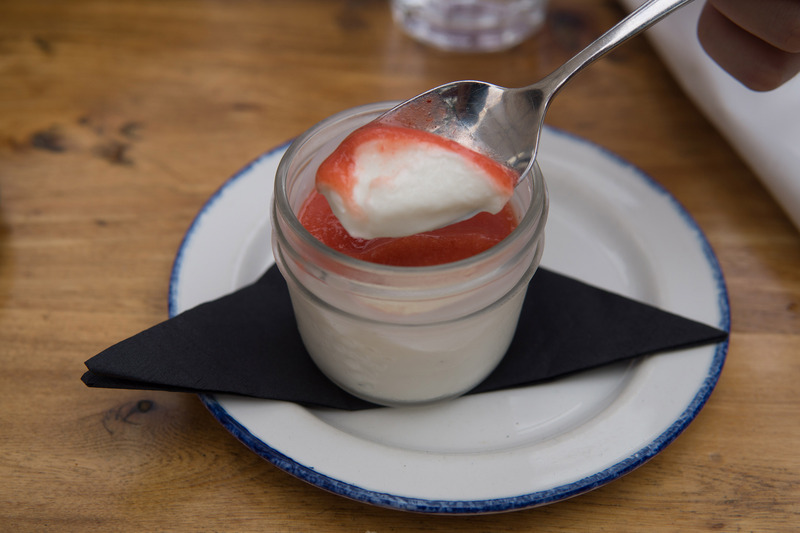 The panna cotta was my favourite part of the meal. The base was evidently yogurt, which makes it a nice breakfast dessert. The top pink portion was what made it unique, however. The sweet upper tasted like a solidified, grapefruit soda, and I loved it. I don’t know how the artists at Gusto did it, but there was a bit of carbonation to it. It was not only delicious but quite fun to eat. Service was great. As soon as I walked in, the hostess took care of me and said it was fine if I took a few pictures. She asked where we wanted to sit and recommended the upstairs patio for the nicest views. The waitress who served us was also very friendly. A friend of mine who joined me had a nut allergy, so she recommended a few dishes to fit his diet. The desserts were also mostly nut-based, but she was able to rid the panna cotta of pine nuts so that he could try it, as well. Though we started off with a dirty spoon, they were quick to provide us with additional silverware. The staff at Gusto 101 were fast and attentive. I loved their uniforms, as it purveyed professionalism and style. Their attitudes were bright, professional, and friendly. I felt good afterward. The meal wasn’t too heavy. It had a nice mix of every food group and made for a perfect brunch. I felt satisfied—neither still hungry nor too full. I only wished that I had a chance to try the lunch or dinner menu. Their varieties of pastas sound delicious. With that being said, I can’t wait to go again for some drinks, pastas, and a good time at the beautiful restaurant.